Yarrawonga has been crowned an ‘Inland Aquatic Paradise’ along with its neighbour Mulwala, just over the bridge in New South Wales. Straddling the peaceful Murray River – and the state border – Yarrawonga is also perched at the south-western corner of Lake Mulwala where the lake passes through the mighty Yarrawonga Weir. With so much stunning water scenery and serene forest surrounds, this is a popular holiday town! Book your Yarrawonga accommodation with us and get packing those fishing reels and bikinis.! It’s not all about the water in Yarrawonga, but it’s pretty hard to escape! With a massive man-made lake on its doorstep, boating, fishing, water sports and swimming are favourite fun times to be had here. Thankfully this part of Victoria is full of sunshine so you can make the most of it.! For a different kind of boat ride, jump on the MV Paradise Queen for a luxury cruise around the lake, and then onto the winding Murray River – and if you’re keen to get wet, take a ride on the boom net! For your own little Murray River exploration, hire a canoe and paddle your way through the backwaters to the sounds of cockatoos screeching from the River Red Gums arching overhead. There are plenty of quiet little sandy beaches along here where you can lay out a picnic blanket and bask all day long. If you prefer to keep your feet on solid land, there are plenty of bushwalks nearby and fantastic golf.! 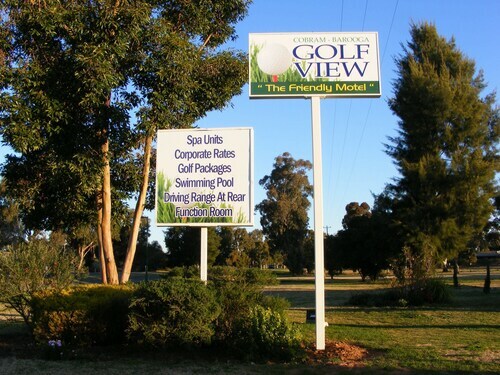 The Yarrawonga Mulwala Golf Club Resort is home to two championship courses and a nine-hole executive course, including the largest public access golf course in the country. Perched beside the Murray River, what a great wayit’s a great place to take in the views! For a story to go with those sights, check out everything from vintage cars to fashion and aviation history at the Pioneer Museum. If it’s food that you love most, then you’ll love all the fresh local farm produce. From citrus fruits to stonefruit and apples – as well as nuts, olives and some local wines – there are heaps of goodies available directly from the farm gate. Pick up a Farm Gate Trail brochure and wind your way through the region with an empty boot so you can stock up! To skip the fun of the chase, head straight to the Yarrawonga Farmers’ Market on the last Sunday of each month. Here you can get it all, as well as fresh meat, honey and cheese, and fresh Murray Cod when it’s in season.! Just three hours’ drive from Melbourne and one hour north of Shepparton, Yarrawonga has heaps going for it! With so much fun to be had on the Murray River and Lake Mulwala, tasty fresh local produce to tuck into, and top-class golf courses, wot more could you want? 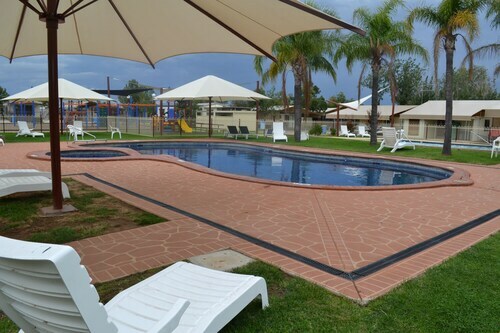 Check out our range of Yarrawonga hotels below and take your next holiday to the waters of the country! How Much is a Hotel Room in Yarrawonga? 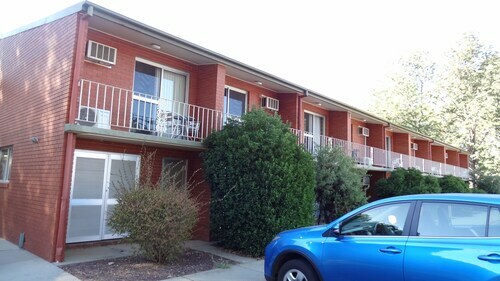 Hotels in Yarrawonga start at AU$86 per night. Prices and availability subject to change. Additional terms may apply. Location in relation to the golf course. The room was reasonably appointed and the bsthroom large. The people are friendly and the office staff are great.